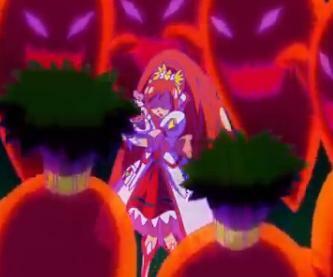 I have to admit that the last episode of DokiDoki Precure, episode 37, touched on one of my faults. See, I am a bit of a finicky eater. I do not mean to be. It is just that there are a lot of things I dislike. 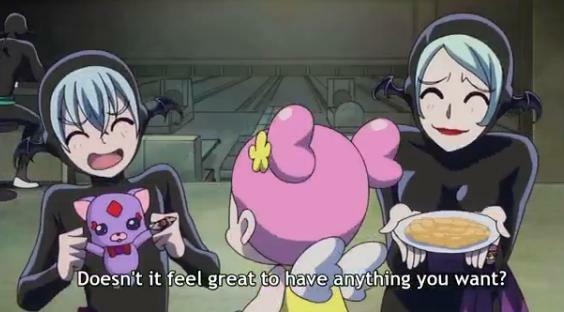 One of the things I have learned from Cure Dolly is that it seems that in Japan, being a finicky eater is not a good thing. 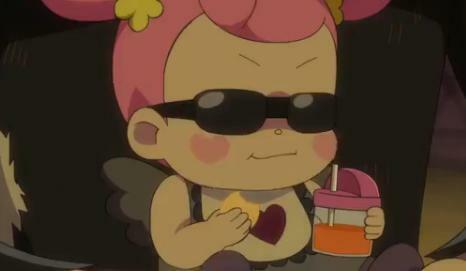 Cure Dolly was very brave when she was in Japan, eating raw egg and natto. 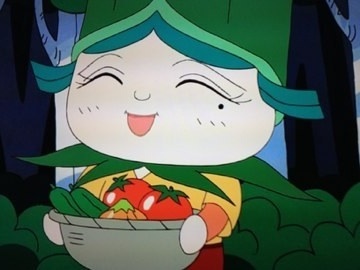 Cure Dolly also showed us a movie that teaches us how important vegetables are here. 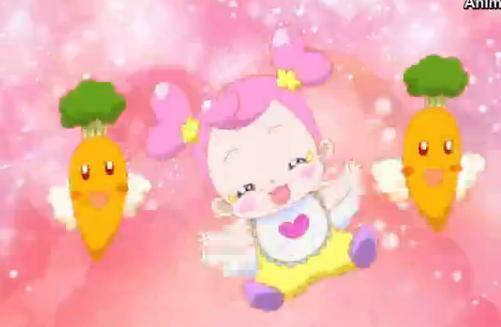 In DokiDoki Precure, episode 37, Ai-chan will not eat carrots. 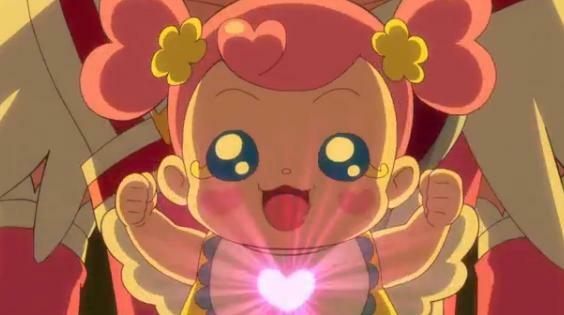 We have learned in previous episodes that it is dreftly important that Ai-chan continue to be a sweet baby, and not turn into a selfish one. If Ai-chan turns selfish, the powers of Evil will get stronger, and she will lose her protections. It seems that being a finicky eater is a way she can turn selfish <deep blush>. 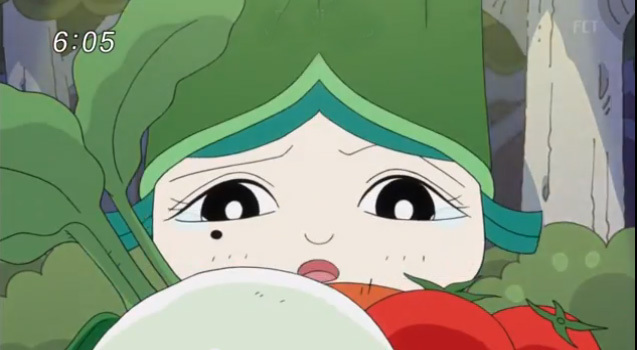 Well also find out that Aguri-chan is also a finicky eater, or at least she does not like carrots either. 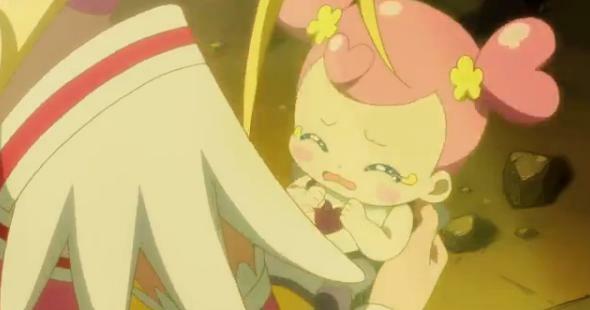 As Cure Ace, she has to learn to eat carrots in order to defeat the Selfishness, and to set a good example for Ai-chan. 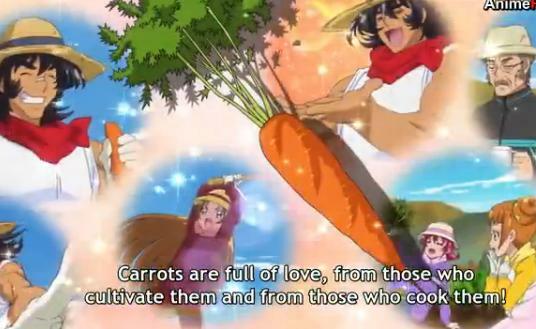 Cure Ace is able to do so after learning about and thinking about the love of the people growing and cooking the carrots. She conquers her dislike of carrots and learns to love carrots too. I do not know that this will inspire me to get over some of my finicky-ness, but is it something to think about. Oh yes, by the way, did you see the previews for next week? 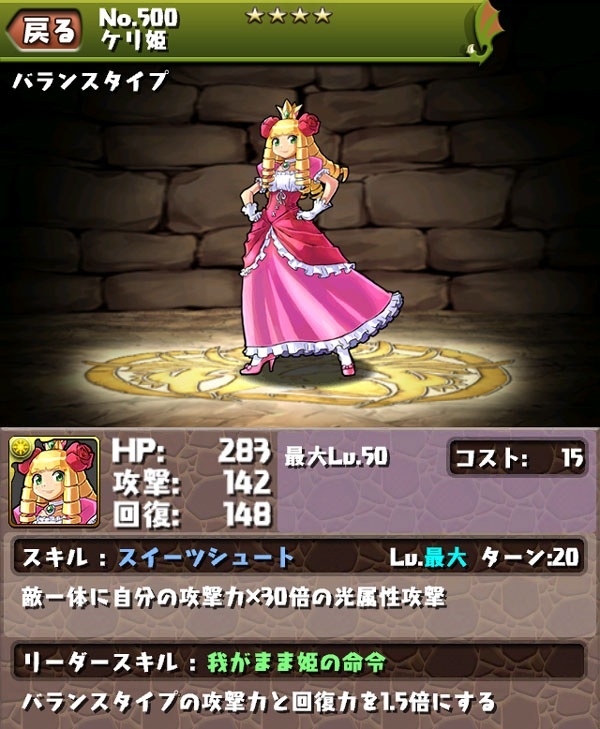 It looks like Regina-san may be back. 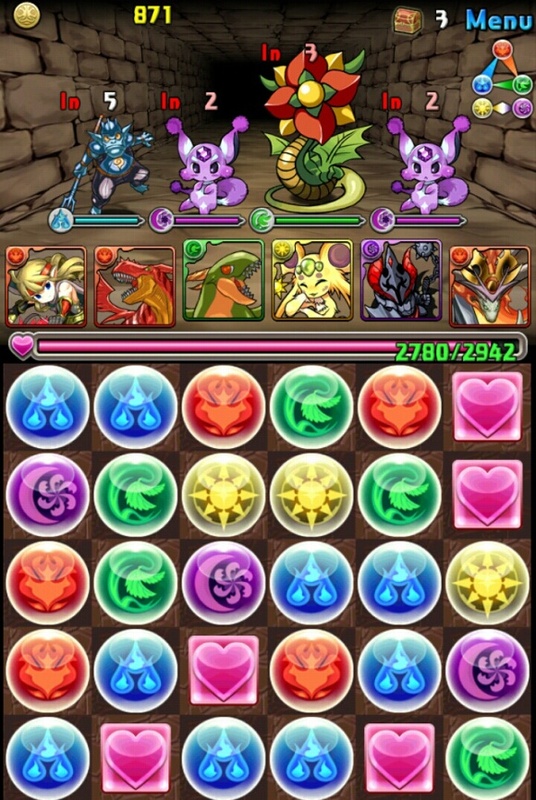 Oh yes, I wonder if my theory about Cure Ace will turn out to be correct. It is getting quite exciting, isn’t it? Grr – they’re giving us something nice! What are they trying to pull? My eye was recently attracted by an article about Japanese television advertisements and their “deeper meaning” – well I should have guessed that it would be anything but deep, but it was interesting. The writer said that while “celebrities” no longer appear in CMs on television in the West they still do in Japan. It wondered why that was and made some rather banal suggestions. However it also made one comment that then seemed to be forgotten. But I think it is quite clearly the key to the whole question. It said that in the West, celebrities would now (unlike a few decades ago when celebrity advertising was common apparently) be seen as “selling out” if they advertised goods. That seemed to me like a very strange idea and I think it would seem to most Japanese people like a very strange idea too. But it is very typical of the increasing cynicism of the West and the way people think there. I have noticed it on Western game sites. There is a constant climate of complaint and anger that people are not getting exactly what they want when they want it. And an underlying assumption that the people who make them nice games are somehow in existence to do them down. I think the attitude is general. That the people who make all the wonderful things we see in the shops (I never fail to be filled with wonder when I see how many lovely things are in shops), who carry them often across the world so we can have them and make them easily available in shops very near where we live – that these people are somehow our enemies of whom we should be constantly suspicious. Now I am not here trying to defend “captialism”. That isn’t really the point. Neither am I wanting “celebrity CMs” in the West. 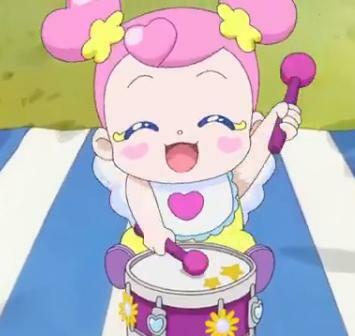 I never watch Western television anyway and the only CMs I have seen in the wild are those that come in the interstices of Precure (they have little girls with Precure toys, not celebrities). In any case, I wouldn’t know a Western celebrity from a hole in the ground (and I’d probably like the hole better). But the point is a great and growing cynicism and lack of gratitude in the West. In Japan I think people are still fundamentally grateful for food and the availability of good things. They don’t see those who make them possible as their enemies. The entire concept of “selling out” comes from a very mean spirit. 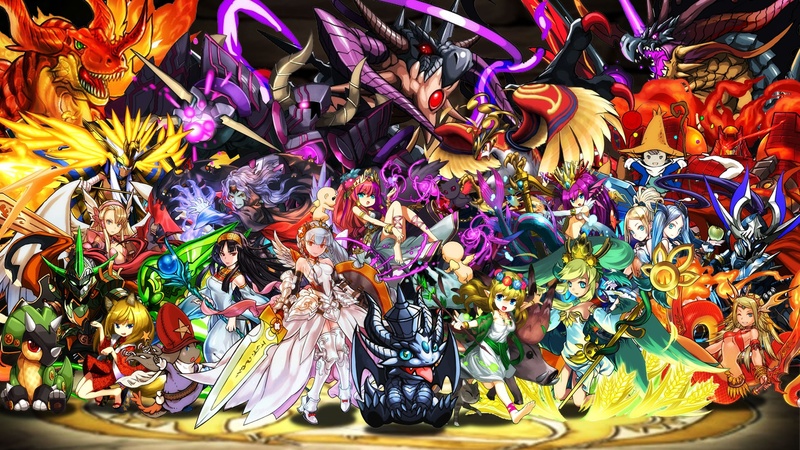 The answer to the question of why there are still celebrity CMs in Japan but not in the West boils down, I believe to one word: “cynicism and mean-spiritedness”. Oh dear. That was four words wasn’t it?